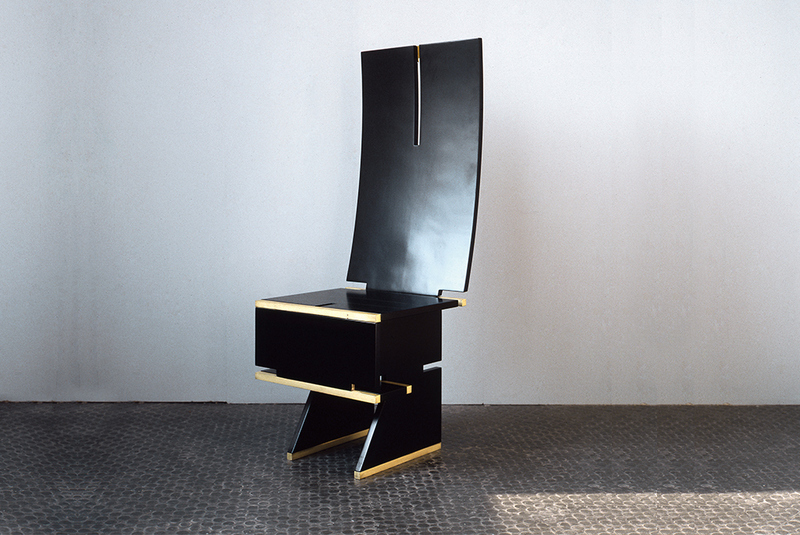 In 1983, the Promosedia S.R.L., Udine, Italy, commissioned a design for a chair. Valentine Chair 1 was the first of a line of chairs by George Ranalli Designs produced for limited production. Promosedia premiered Valentine 1 at “salone internazionale della sedia” in 1984. 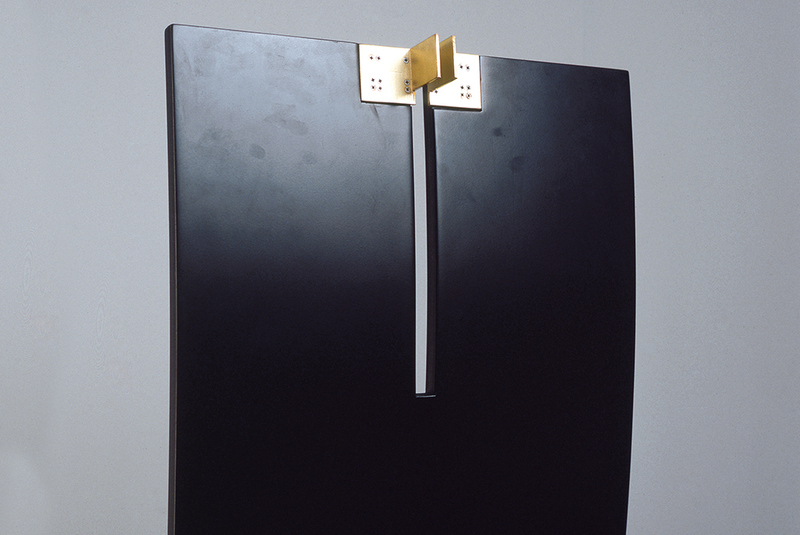 The prototype, fabricated in matte lacquered veneer over a plywood base, features wood grain edges, unique brass detailing. The production of Valentine 1 continues, via special order, from George Ranalli Designs, for various settings, and in combination with a range of styles of dining tables.